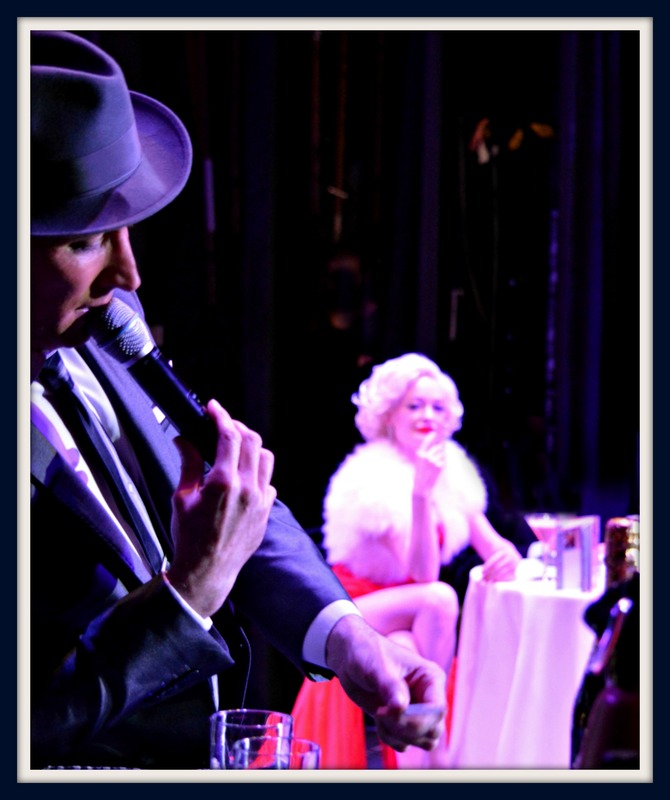 “I took my dad to see Sinatra Sequins And Swing – The Capitol Years Live! at Crawley’s Hawth Theatre which was absolutely fantastic! An afternoon of Big Band Swing, laughs and history. Sinatra was an absolute legend and had many hits, but the show focuses on the ‘Capitol Years’ of 1953 to 1961, Sinatra’s golden era! I have seen many Sinatra/Swing/Rat Pack shows in the past but this has got to have been the best! Both Kevin Fitzsimmons and Kitty La Roar have that rare 50s/60s sound which made me feel like I was in one of those old 50s/60s smoke-filled swing clubs. Star of the show Kevin Fitzsimmons performs some absolute gems including World On A String, Come Fly With Me, Makin Whoopee, Lady Is A Tramp, Too Marvellous, I’ve Got You Under My Skin, Night & Day. Kitty La Roar is the essence of 50s/60s! The resemblance between Kitty and some of the classic icons is uncanny! Her voice is unbelievable and she sings some classics including Fever, Too Darn Hot, Diamonds Are A Girls Best Friend. Plus when legends Kevin and Kitty combine, they belt out some classic duets including You’re Sensational & Who Wants To Be A Millionaire! Sinatra, Sequins and Swing (The Capitol Years Live!) looks at the career of Frank Sinatra during his Capitol days between the years of 1953-1961, the heyday of swing and some of the iconic screen goddesses of that era. The show itself was described as ‘The Big Band night of the year ‘and it didn’t disappoint. The orchestra was amazing with some truly talented musicians within it. Particularly the trumpet solo which was outstanding. Kevin Fitzsimmons portrayed Sinatra perfectly. His rendition of That’s Life was like listening to Sinatra himself. For me though the highlight of the show was Kitty Le Roar, with her portrayal of icons such as Grace Kelly, Peggy Lee and Marilyn Monroe. Her performance was effortless and she oozed glamour on stage. With her many costume changes, she was able to bring to life the glamour and beauty of these 50’s icons. Her range was phenomenal and her vocals were exquisite. One of the best female vocalists I have ever heard and she stole the show. I would totally recommend going to the show if you get the chance. It is a must for any Sinatra fan and if you want to revisit the glamorous era that this show portrays it will take you there. See CAST page for individual cast testimonials.